Can I sue an Owner Builder? There seems to be a lot of people now being owner builders. It may be because of the popularity of shows like The Block and House Rules and the desire to purchase property as an investment, renovate and then sell for a nice gain. However our Building and Construction Lawyers meet a lot of owner builders who are not aware that they can be sued. An owner builder gives the same promises as a builder who enters into a building contract with someone to carry out work. 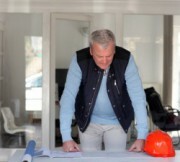 An owner builder can be sued for defective works. The promises include that the building work was performed in a proper and workmanlike manner. This is highlighted in a recent case. A couple wanted to extensively renovate their home. The husband travelled regularly for work so the wife decided that she would hold the owner builders licence. She then entered into contracts with all tradespeople and co-ordinated all of the works on site. Once the works were finished they sold the property. Another couple purchased the property and not long after moving in they experienced problems with quite a number of items including the air conditioning and sealing of the windows. Whenever it rained they had water coming into the house. The judge found that the building works were defective, ie: they were not performed in a proper and workmanlike manner, and as a result the wife was ordered to pay the owners a sum of $1,171,124. What was meant to be a clever investment strategy turned out to be quite an expensive exercise! If you are thinking of becoming and owner builder make sure you speak with a Building and Construction Lawyer. You can contact our Building and Construction Law team who will help make sure your interests are protected.